Upcycling old books to create new favorites as blank book journals or diaries. 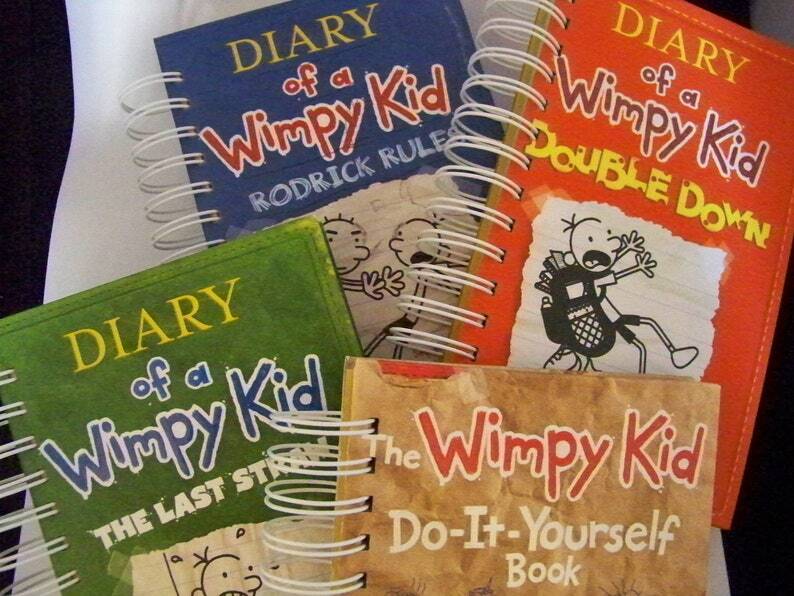 Choose from several titles of Diary of a Wimpy Kid (specify your preference when you order), while titles last. These are such fun books and appeal to a tween aged boy (and girl) with funny cartoony pages (we saved a few) and then we added a ton of blank writing paper. Help your student jumpstart a writing career with a book journal. These journals measure about 6 x 8 inches. Each book journal is one of a kind. These book journals make thoughtful gifts for colleagues, friends, family and especially for your personal use. A perfect daily journal, travel journal, food diary, thoughtful gift, or sketchbook. How about a baby shower gift everyone will talk about? Or a wedding guest registry? But here’s the real cover story: Sometimes vintage books are in plentiful supply or they’re being recycled by local libraries. We carefully list any of value on Amazon and with others that have unusual or striking vintage covers and wonderful color or black and white plates, we create journals so you can repurpose yesterday’s books—some may be over 100 years old (please see specifics on this listing) or childhood or inspirational favorites. Read between the covers: Many spines are tattered, so we remove those, smooth the edges and gently bind with spiral o-wire. Before we put it all together, we select paper that matches or coordinates with the original pages, include a number of blank pages with no lines and then include charming color plates, black and white illustrations, maybe a contents page, or poems directly from the original book. We have begun using 100% recycled fine-quality off-white paper in some of our book journals. And experimenting with various card stocks mixed in and some sections of lined paper. Each is its own unique creation. Watch for various colored papers too in the same book. You can be assured that much of our blank paper is being recycled from stock and educational institutions. Please email or convo with specific questions about number of pages, size, or special requests. 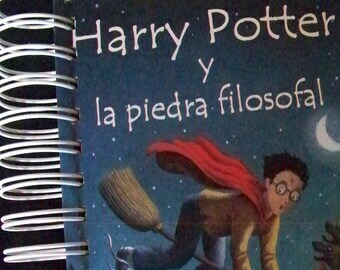 Yes, we can create journals from your special books. Our inventory is always updating with new treasures uncovered in attics and libraries. Check back often. And thank you for favoriting our shop or our book journals. We ship media mail on the day you purchase your item, so we can pass along the reduced postage and speed your package to you. We absolutely guarantee your satisfaction. I'm using these pages as part of my wedding centerpieces and they are perfect. Seller was extremely pleasant and sent exactly what I asked for! I received my purchase carefully packaged and as described. These will make great gifts, thank you! Yes, we can create a book journal from your books. You choose the color papers, quantity, binding color, and how much of the original book to retain. These make memorable gifts for family members. Our friends at Cape Coddle in Orleans on Cape Cod carry our book journals, and we love working with them to find nautical themes for their seasonal shop. We'd love to help you create a "look" with custom journals for your shop too. Let's talk.